One of my coworkers sent me an article titled Why Do Millennials Not Understand Racism? By Jamelle Bouie, of Slate. Any reasonable adult should understand the basic tenets of racism. Of course, that is just a headline, and not the complete truth. Millennials do understand racism. According to the research stats Bouie presents, they just don’t want to be bothered. According to MTV – likely polling this audience nationally to determine what they care about so it can convert and retain millennials as viewers – compared to older generations, this group is generally more tolerant, diverse and has a stronger commitment to equality and fair play. But this cohort also seems more interested in being colorblind than in addressing the problems around race and bias that still plague women and minorities in society today. I recall my nephew rolling his eyes at my cautions around race as he entered the workforce. I didn’t push. I figured life would probably teach him the lessons he needed to know better than I could. See? Ignoring diversity issues doesn’t work because if you don’t acknowledge there are problems, no one will look for solutions. 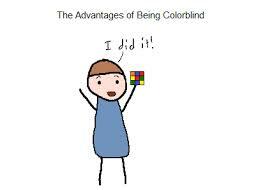 I wish being colorblind was all it took. But that is naïve. First, everyone’s not a millennial. Therefore, everyone doesn’t have the same hope and wishes for diversity issues. Second, not all millennials want or care about equality, nor do they all have the same upbringing, experiences and opportunities. So waiting for racism and such to die a natural death could take a long, long, long while. Actually, there is no one generation period that completely cares about equality. There are very few absolutes in life. Bias affects some people more than others, and it affects different people in different ways at different times in their lives. That’s just the way it is. Wanting the world to be colorblind is like covering your eyes with your hands before you take a walk, thinking, oh, I’ll be alright. Then you promptly trip over a crack in the sidewalk and end up with a goose egg on your head. Wishing away racism, bias, gender discrimination etc. doesn’t work, nor does avoiding discussion of these topics because you feel as though they should no longer exist. They do. And ignoring them makes them worse, not better. It’s not that I want to talk about race and such all the time. I actually don’t, not at all. But if you keep your eyes open you may not trip, fall down and hurt yourself as often. And, if you can see the crack in the sidewalk, you can point it out and possibly keep the next person on their feet. This piece also appeared in Diversity Executive magazine online.